In 2014, Unfriended surprised by making interesting the absurd idea of seeing people talking on FaceTime while being killed by a supernatural force. Now, the movie has a sequel called Unfriended: Dark Web. Evidently after the end of the original film, Dark Web presents a new group of people, who in this opportunity will be persecuted by a criminal group from the darkest corners of the internet. All this after finding some hidden files in a computer. In spite of having the title of sequel, this film directed by Stephen Susco will not be a continuation of the film of 2014, but rather it will do something similar to the films of Cloverfield. 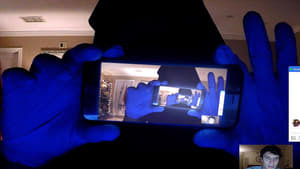 Unfriended: Dark Web does not yet have a release date for Latin America, but in March it was shown at the SXSW Festival where the first reactions indicated that the film is more cruel than its predecessor.